Easily create handlettered cards with Letter It Sentiment packs! Decorate and embellish the background to create a card or cut out sentiments as accent pieces. 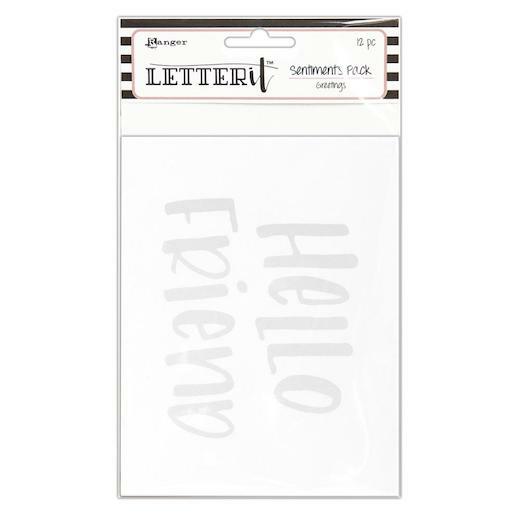 Cards with traceable, grey printed sentiments create lettered guides for you to customize with Letter It Embossing Powders, Perfect Pearls, Fineliners, Medium Pens and more. Each set contains twelve 108mm (4¼”) x 140mm (5½”) cards, two each of six designs.